The cherry red skin on an Ida Red practically glows. 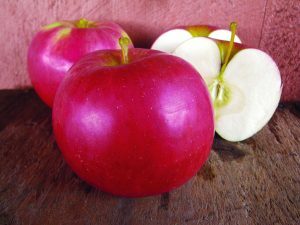 On the tart side with a crisp, white flesh, Idas are an all purpose apple. Pro tip: Make skin-on applesauce with Ida Reds and your sauce will come out pink.